2018 kicked off with a bang with Justin Stern taking on new statewide and international leadership roles! 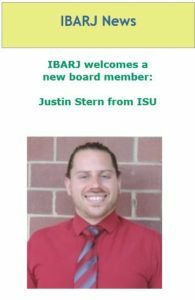 Justin Stern was appointed to the Illinois Balanced and Restorative Justice (IBARJ) Board of Directors at the beginning of the year; this announcement was made in the January 2018 newsletter! IBARJ is the Illinois statewide organization tasked with providing leadership, education, and support that promotes the principles, practices, implementation and sustainability of Balanced and Restorative Justice. As a member of the Board of Directors, Justin will provide governance to the organization, represent it to the IBARJ Coordinating Council and the larger community, and accept the ultimate legal authority for it. Justin Stern was appointed as the chair of the Conflict Resolution Committee of the Association for Student Conduct Administration (ASCA). The ASCA is the leading voice for student conduct in higher education. ASCA’s network of qualified professionals is dedicated to cultivating student responsibility and accountability through prevention education, investigation and adjudication. ASCA members are trained and equipped to uphold the integrity of the student conduct process, resulting in the ability to build safer educational communities and positively impact the higher education experience. The ASCA boasts membership from every state in the U.S. as well as several other nations!